Saluting Innovation at Sony for taking workouts and music below the surface. 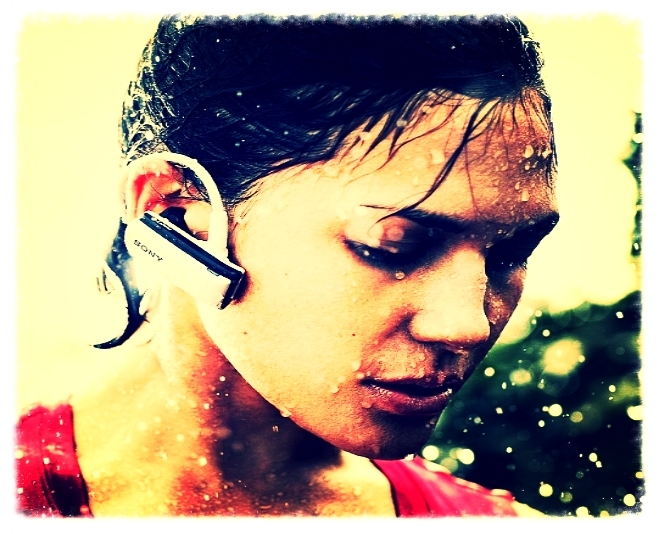 Sony has created the W series mp3 player with a waterproof design that can be submerged as deep as six feet giving swimmers the motivation of music to power through lap after lap. This compact pair of wireless ear buds has 4GB of memory storing up to 900 songs, enough to power you through an Olympic swim. Many people view music as a vital component to engage in vigorous workouts but wires and armbands of handheld devices can get in the way and limit your mobility. Now everyone from casual fitness enthusiasts to hard-core ironman athletes can enjoy their favorite music while they train. Whether on land or in the water, Sony’s new sports specific mp3 player is the perfect accessory to any workout. We salute Sony for their continuous improvement of a common electronic and allowing for swimmers to enjoy the benefits of music powered workouts.